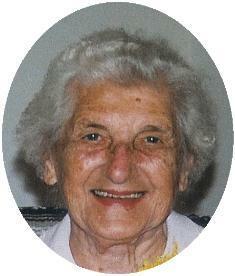 Regina Jacobs, 89, of Oak Court, Port Washington found eternal peace February 15, 2007 at Kathy Hospice in the Town of Polk, Wisconsin. She was born December 10, 1917 in Pittsburgh, Pennsylvania to Joseph and Rosalia Stanczak Suchta. She grew up in Pittsburgh and married Harry T. Jacobs of Pittsburgh at Immaculate Heart of Mary Catholic Church in Pittsburgh on June 11, 1941. He preceded her in death August 6, 1980. Jean moved to Port Washington 23 years ago to be near her daughter. She enjoyed Scrabble and crossword puzzles. She will be remembered as a feisty, very independent lady who valued her family and faith. She is survived by her children Margaret (Joseph) Matous of Port Washington and Stephen (Linda) Jacobs of Murraysville, Pennsylvania. Further survived by grandchildren Christine (Shane) Murphy, Janet (Mark) Jeske, David (Vicky) Matous, Richard (Betsy) Matous and Christopher (Isabel) Jacobs, great-grandchildren Kyle, Tyler, Kaitlyne, Kendra, Kalli, Gabbie, Alison, Sydney, Gabby and Nico, other relatives and friends. Preceded by her parents, husband Harry and 11 brothers and sisters. Fr. Allan Sommer will celebrate Mass of Christian Burial 7:30PM Monday, February 19, 2007 at St. Peter of Alcantara Church, 1800 N Wisconsin Street, Port Washington. Visitation 5:30-7:30 PM Monday at church. Burial will be at St. Stanislaus Cemetery, Town of Shaler, Pennsylvania.